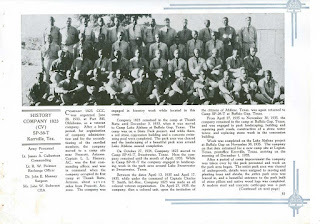 The men of Company 1823, Civilian Conservation Corps. 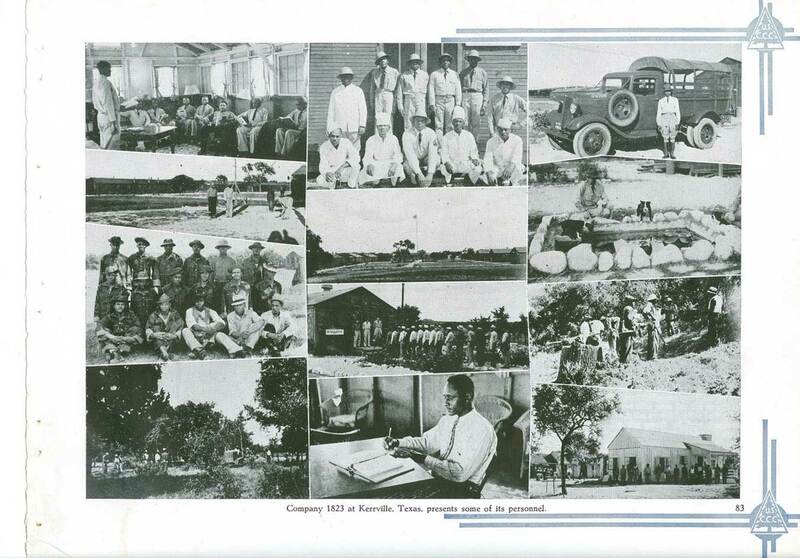 The Civilian Conservation Corps made a lasting impression on Texas with its construction of parks all over the state. Notable nearby examples are Garner State Park and Blanco State Park, while the cabins at Bastrop State Park or Indian Lodge at Fort Davis State Park are great examples of buildings constructed by the corps. The giant swimming pool at Balmorhea was another wonderful CCC project. The CCC also changed lives, providing work for unemployed men, as well as housing, food, and education. Over 50,000 Texans enrolled in the program, and constructed parks from the ground up, creating the Texas State Park system. Few realize the CCC also worked here in Kerrville. 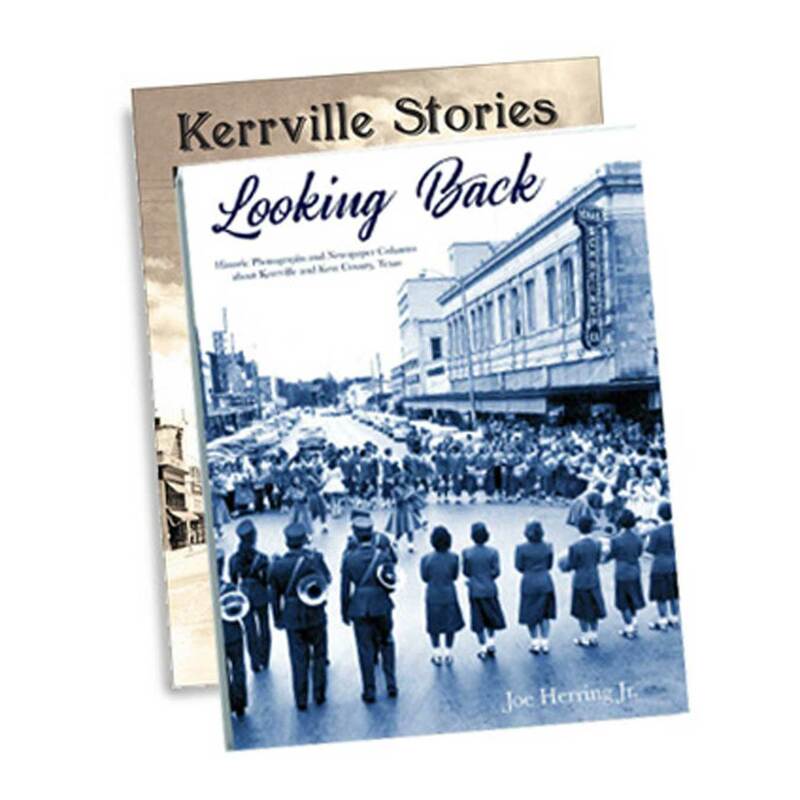 As early as 1934 the Kerrville Mountain Sun reported the Kerrville Chamber of Commerce "has been working in conjunction with city officials for the past several weeks in an effort to have a state park located in the vicinity of Kerrville." A committee comprised of Kerrville mayor Richard Holdsworth, W. A. Fawcett, Hal Peterson, E. H. Prescott and J. L. Pampell met with D. E. Colp, chairman of the State Parks Board in the summer of 1934. The committee was tasked with finding a tract of 500 acres or more, lying on both sides of a stream, and easily accessible to a state highway. A site was found and accepted by representatives of the State and Federal governments, but there was a hitch: the committee was "unable to come to an agreement with the property owner for the purchase of the property, which is located near Kerrville and has one-half mile of Guadalupe River frontage." By October, 1934, those difficulties had been overcome, though the details are not clear. The site, which was the James Holloman homestead, was located across the river from the Veterans Administration hospital, and its purchase was funded by public subscription, with a campaign goal of $8,000. In addition, the City of Kerrville donated $2,500 in cash, while Kerr County issued $5,000 in bonds. 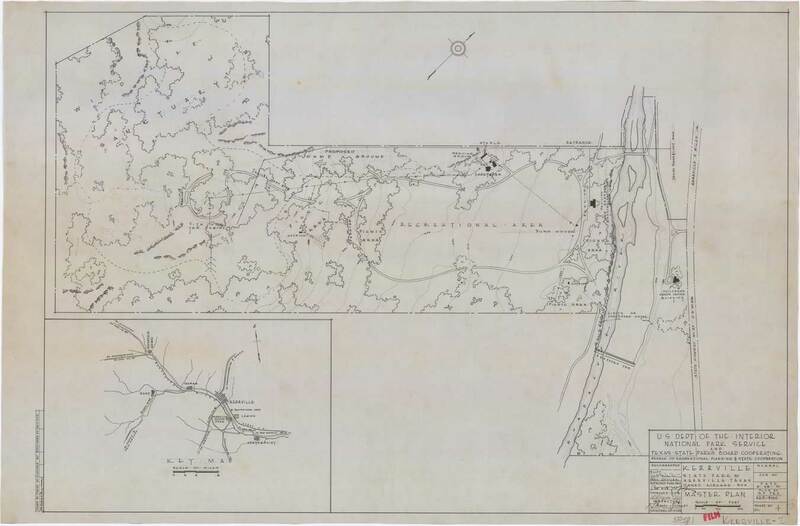 By December, 1934, survey work began at the park, with plans to be sent to Washington for approval, "in order to have a company of 200 Civilian Conservation Corps men assigned here to do the work." 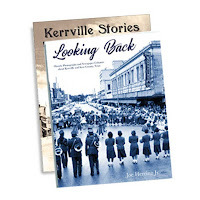 By April, 1935, Kerrville had lined up the support of both Texas senators and its congressman. All of the politicking must have worked, because in December, 1935, the Kerrville Times reported 225 members of the CCC would arrive to start work on the park, staying in cabins and barracks constructed for them before they arrived. 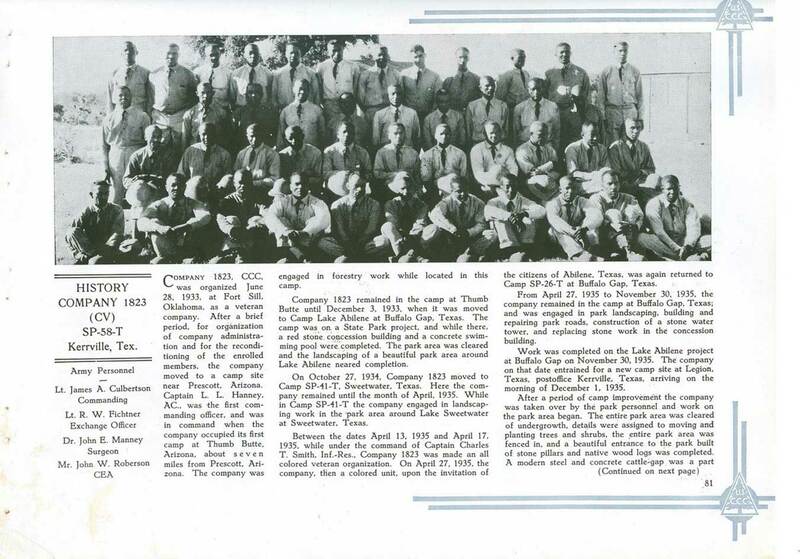 Company 1823 of the CCC was organized June 28, 1933, at Fort Sill, Oklahoma. In December, the company was sent to Abilene, Texas, to construct Abilene State Park at Buffalo Gap on Lake Abilene. 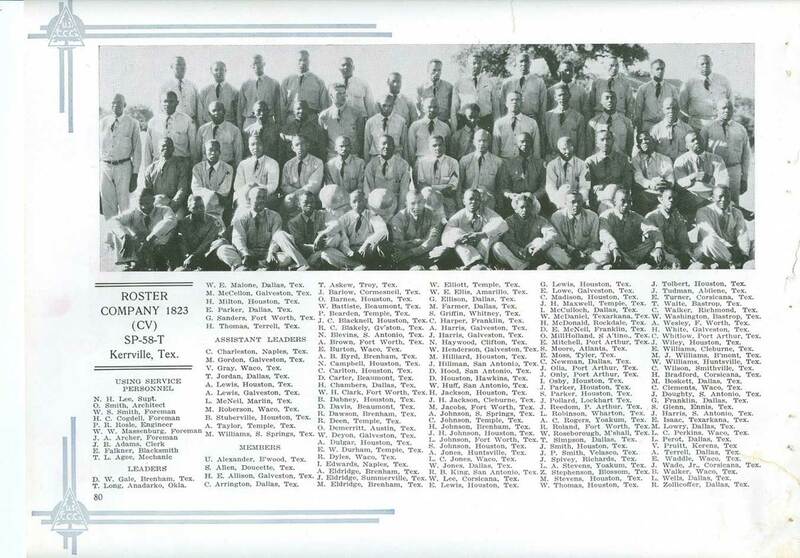 Around this time the company was reorganized and became an all African-American company, each member a veteran of World War I. Company 1823 arrived in Kerrville on December 1, 1935. "After a period of camp improvement...work on the park area began. The entire park area was cleared of undergrowth, details were assigned to moving and planting trees and shrubs, the entire park area was fenced, and a beautiful entrance to the park built of stone pillars and native wood logs was completed." The company also built a caretaker's dwelling, a stone water tower, a stone amphitheater, roadways, and other improvements. Educational classes were offered to the company, and religious services were conducted each Sunday. Newspaper reports tell of activities in town, too, with performances offered to the public both in town and out at the camp. A few of the projects completed by Company 1823 can still be found at the park, now called Kerrville Schreiner Municipal Park. The park is still enjoyed by thousands of visitors each year. Joe Herring Jr. is a Kerrville native who has often visited the park with his son. It’s a good place to walk. This column originally appeared in the Kerrville Daily Times February 2, 2019. Here's an idea for the least romantic Valentine's Day gift, ever: copies of my books, available by clicking HERE.